With just twelve months to go until the first guests set sail on-board MSC Meraviglia, MSC Cruises has revealed further details of its first next-generation smart ship. 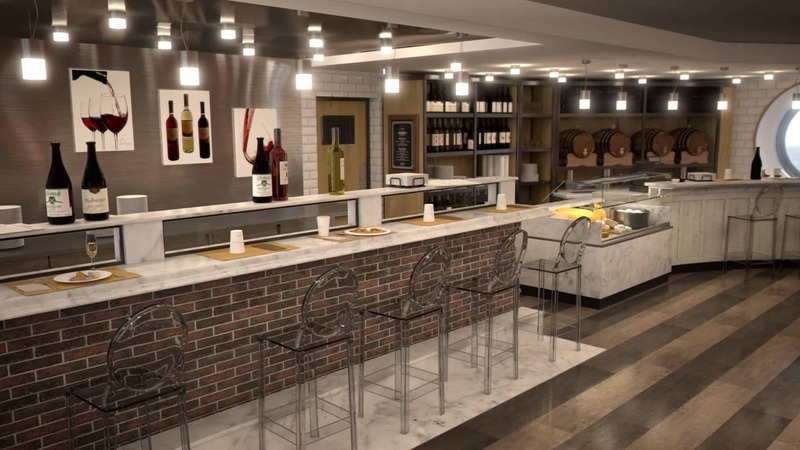 Designed around meeting every need of its guests,MSC Meraviglia will introduce new, cutting edge ways to connect Cruise Addicts seamlessly with the experiences that matter to them, whether at sea or on land. With the first cruise scheduled for June 4, 2017, MSC Meraviglia will feature the ultimate in entertainment, alongside a broad range of dining options and luxurious wellness choices. In addition to the on-board experience, the ship will spend her inaugural summer season sailing the western Mediterranean—calling at beautiful, historic destinations with a unique, highly-tailored program of discovery excursions, to immerse guests in local culture and tastes. 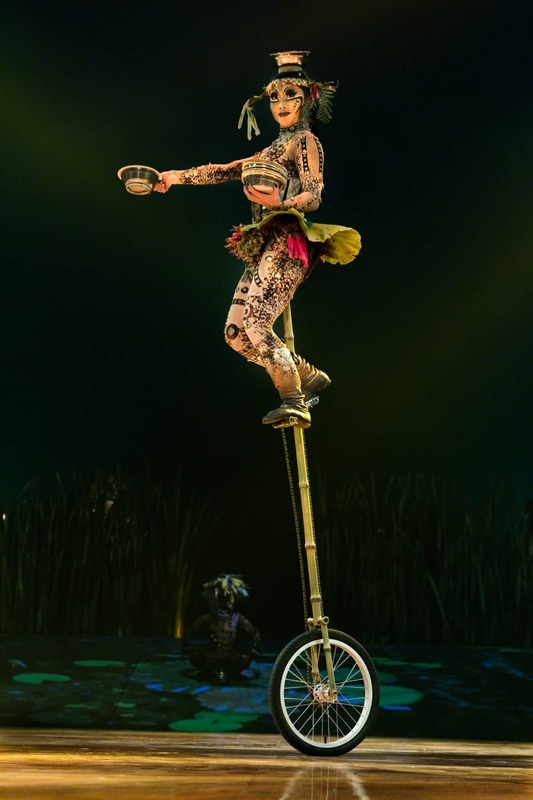 The highlight of on-board entertainment will be represented by the world leader in artistic performance, Cirque du Soleil, thanks to the exclusive Cirque du Soleil at Sea partnership with MSC Cruises. Two unique Cirque du Soleil shows will be performed on-board in the evenings, 6 nights per week, at the purpose-built Carousel Lounge. In addition, MSC Cruises will offer an exclusive on-site dinner service for up to 100 of the 450 guests booked for the show, elevating MSC Cruises’ exquisite dining and award-winning entertainment to yet another level. In fact, this is a unique experience that cannot be had anywhere else at sea — or in the world, for that matter. 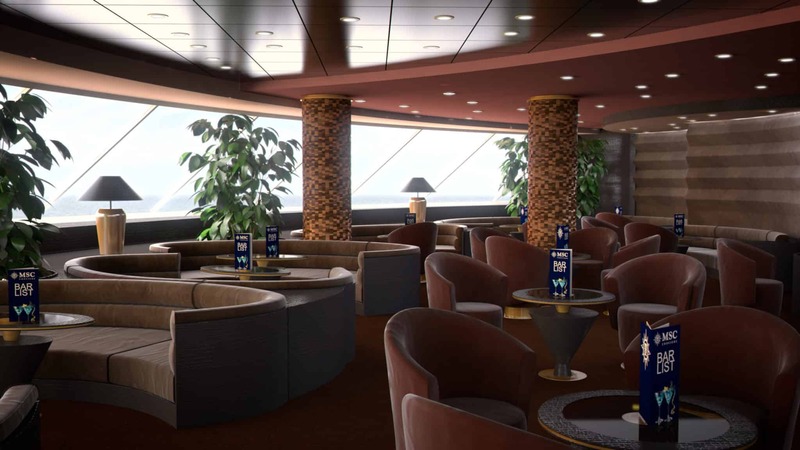 MSC Cruises designed a custom-made entertainment venue, the Carousel Lounge, for MSC Meraviglia and its three Meraviglia and Meraviglia-Plus sister smart cruise ships. Featuring the latest technology, this ground-breaking venue, which has been designed to meet the needs of Cirque du Soleil and its performers, will be a stunning circular performance space with a 180° circular glass wall. Constructed with the most cutting edge equipment and special rigging, the Carousel Lounge will enable Cirque du Soleil performers to deliver their world-renowned performances for the exclusive enjoyment of MSC Cruises guests. With MSC Meraviglia, MSC Cruises continues to evolve and enrich the family options that have historically been at the core of its offering. The facilities and services for families on every MSC Cruises vacation, are designed to ensure that it is engaging for all members of the family, both together and individually. For the first time on any MSC Cruises ship, all of the facilities for families, kids and teens are all together in a super amusement park and children’s area. This means families have a dedicated area specially designed for their needs, providing a safe place for children, and an opportunity to also meet and get to know other families. 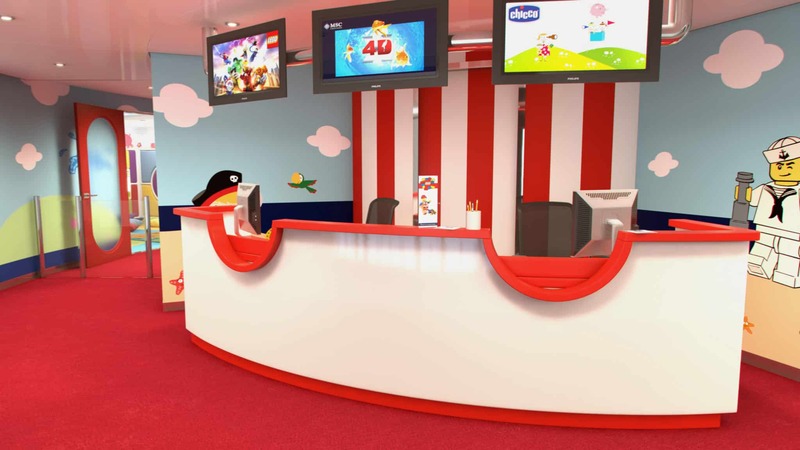 This area includes the DOREMI Studio Lounge, a dedicated lounge for all family activities, DOREMI Tech Lab, a must visit destination for kids who love technology, as well as facilities designed in partnership with family experts including the LEGO Group and Chicco. Amongst other features, the on-board Aqua Park will include four action-packed water slides, a splash pool and champagne bowl. And the Himalayan Bridge will thrill adventure seekers, who can attach themselves to a rope and cross the ship, nearly 200 feet above the water. The innovative accommodations on MSC Meraviglia demonstrate the way that MSC Cruises puts the guest at the heart of its designs and ship building — the way in which only a family-owned business can. With 10 different types of staterooms to choose from, there really is something for everyone. MSC Meraviglia features an enhanced MSC Yacht Club with luxurious accommodation, now spanning three decks with 78 suites, 15 inside staterooms and two apartments. The two coveted apartment suites are designed with a large living room and two balconies, one of which is a large outdoor space that has a dining table for eating al fresco and a private whirlpool. This unique “ship within a ship” concept is specially designed for guests seeking exclusivity and privacy in a world full of choice. MSC Yacht Club guests can thus enjoy the world-class entertainment, specialty restaurants and boutiques before returning to their own private, luxurious sanctuary. With unparalleled luxury comparable to that of a private yacht, it also provides key benefits including the Top Sail Lounge, an entirely self-contained private club, offering panoramic sea views, and the One Pool Deck, featuring a private pool, whirlpool baths and solarium. A private elevator will transport guests discreetly to the MSC Aurea Spa to experience the delights of an authentic Balinese spa, with an exclusive MSC Yacht Club massage and treatment room. The trend for multi-generational vacations is further met on this ship with a clever modular staterooms system, which is unique to MSC Cruises. Up to three staterooms can be combined together to accommodate up to 10 guests. In addition to the modular staterooms, quadruple staterooms can accommodate a family of up to four people each, with a living space in the daytime, and a sofa that turns into a comfortable bed by night – making the most effective use of space in the stateroom. MSC Meraviglia makes available to her guests an unprecedented choice of both fine and casual options through 12 venues – in true MSC Cruises fashion – serving always fresh, authentic food. This starts with the buffet, open 20-hours a day, which will serve a delicious array of Mediterranean specialties and international cuisines – including ethnic, “itinerary” and wellness corners, plus a multitude of other tastes and dietary needs catered for round-the-clock. In addition, fine dining options examples include the award-winning Kaito Sushi Bar, the new Kaito Teppanyaki Restaurant and an American-style steakhouse with specialty meats from around the world (details of additional fine dining options will be revealed over time). Mediterranean-style indoor promenade, featuring a 262 foot LED sky that creates an awe-inspiring atmosphere 24 hours a day. Another outstanding feature of MSC Meraviglia is her impressive Mediterranean-style indoor promenade, featuring a 262 foot LED sky that creates an awe-inspiring atmosphere 24 hours a day. 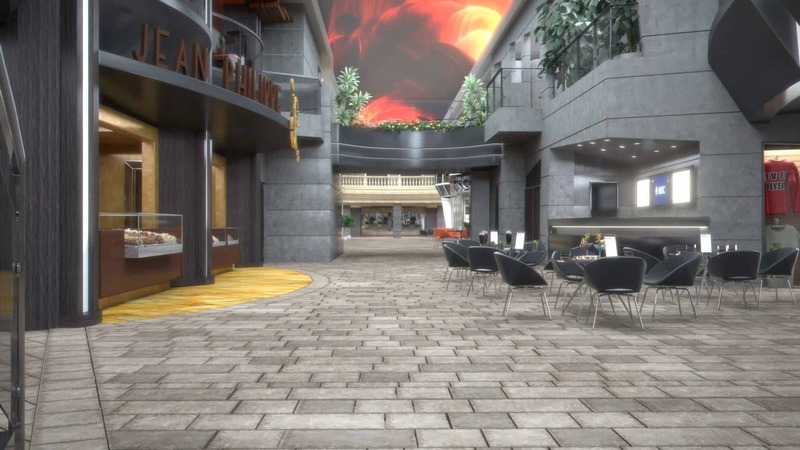 With stunning visuals and effects, the Promenade will be the social center of the ship and a focal point for a broad range of leisure activities. Amongst others, guests can stroll up and down, sit back and take in the atmosphere, shop until their hearts’ content, or snack on delicious ice cream or crepes from Jean Philippe Maury, the award-winning French chocolatier and pastry chef. The main pool, located on deck 15 is inspired by the cool vibes of Miami’s South Beach. At approximately 82 feet long, it has the most generous poolside space at sea. By night, the pool becomes a visual spectacle, illuminated with special lighting. There is also a buffet nearby with inside and outdoor dining options, providing guests with more convenience and optimal relaxation time. As MSC Meraviglia is the ship for all seasons, there is a 33 foot indoor pool with a magrodome that can be opened when the ship is in port or the weather simply allows for it. Finally, the Aft Pool on deck 16 offers spectacular views from the front of the ship, while by night is transformed into a space where guests can dance the night away under the stars. Additionally, the private One Deck Pool, exclusively for the use of MSC Yacht Club guests, is in a coveted position at the top of the ship on deck 19 providing a quiet hideaway for relaxation. To book your next Mediterranean cruise experience on MSC Meraviglia visit: http://bit.ly/MSCMeraviglia_FYC.